It's that time of year again! Bring the family out for our annual Italian Dinner fundraiser! Join us on Tuesday, March 5th, from 4:30pm-7:30pm at the Fraternal Order of Eagles Van Buren #3996 for a night of great food and family fun! We'll have raffles, prizes and lots of delicious Italian favorites and a cash bar! The best part? You'll be supporting our BHS scholarship fund! Tickets are available from any Rotarian or buy them at the door! Plus, there will be Paczki!! This past week we celebrated the induction of our new 2018-2019 club President, Brian Pearcy. 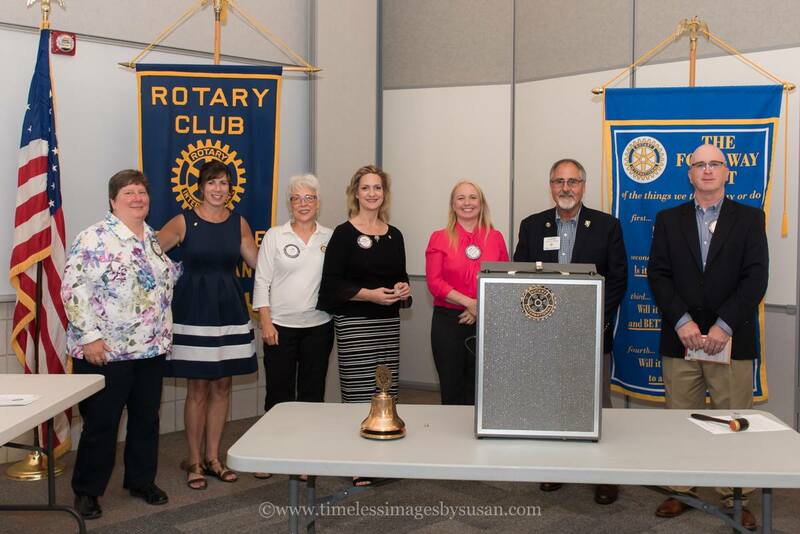 In addition, the remaining members of our club leadership were also inducted including Vice President, Rachel Koslowski, Treasurer Deb Green and Secretary Susan Richardson. We were also thrilled to honor Julie Hardy as our outgoing President, for all of her hard work and dedication put forth this past year! We are very much looking forward to a superb new year in Rotary. Thank you to Larry Wright for facilitating our ceremonies. 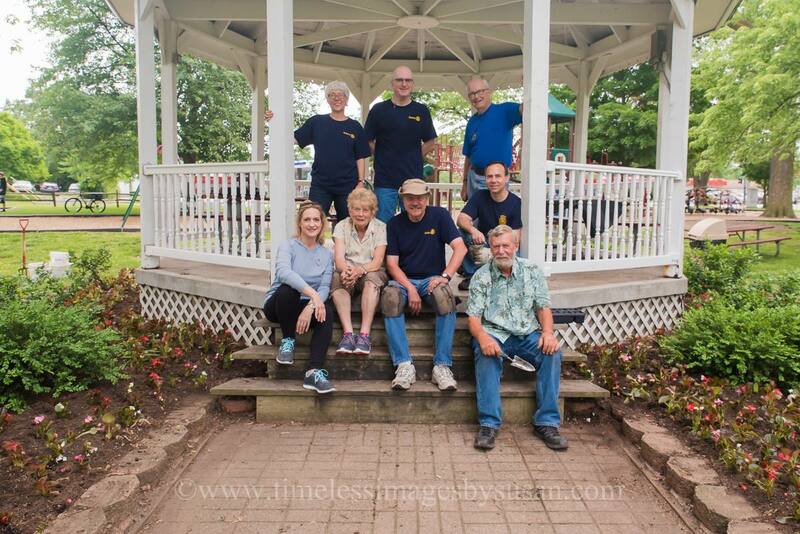 Our club members enjoyed a lovely afternoon of gardening at Victory Park, cleaning out the landscaping and planting new flowers around the gazebo. 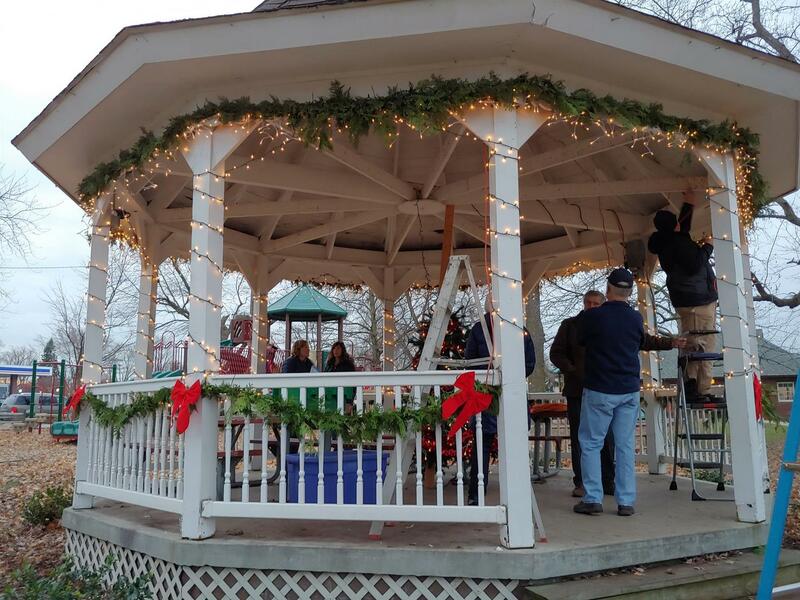 Very BIG thanks to Joyce at Garden Fantasy Florist & Greenhouse for contributing the flowers and to Keith Bruder for the supplies, tools and transport, along with everyone's hard work! Thanks also to the couple of kids from the park that joined in to lend a hand as well! We'll have pics of them to add later on. 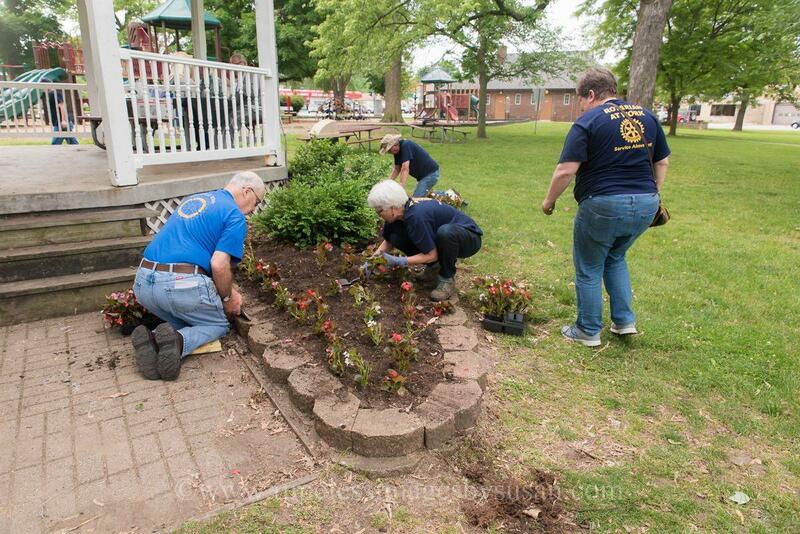 We love how our community always pitches in when we're out working on projects! PS: Thank you to Joyce for re-stocking our LFL (Little Free Library). 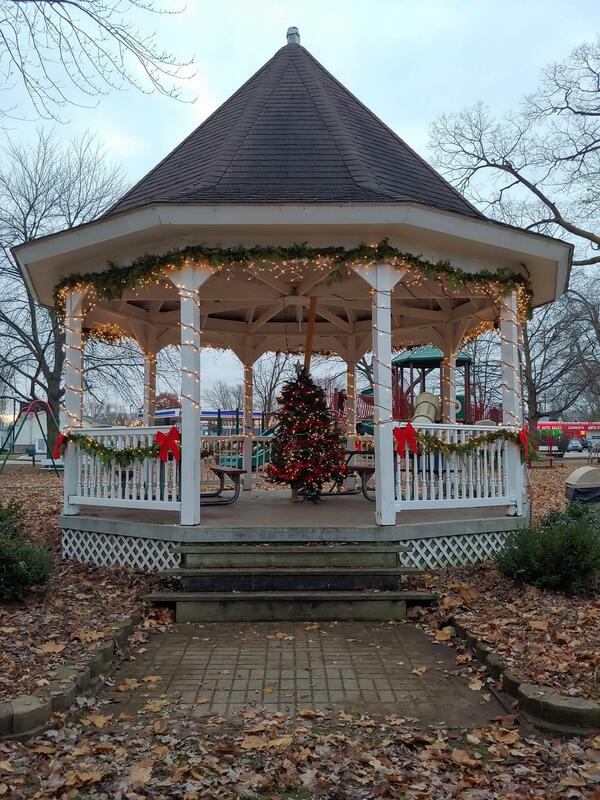 Don't forget the next time you visit the park to "take a book and leave a book"! 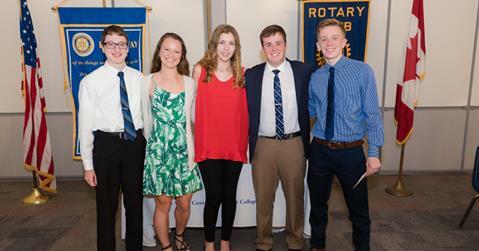 What a fabulous evening we enjoyed as our club presented the 2018 recipients of our annual Scholarship Awards! We were so very proud to announce this year's winners at the dinner this evening. Each recipient was very much deserving of their scholarship award, having made significant contributions to their school, their community and their academic careers. Club President, Julie Shonta Hardy kicked off the evening by talking about the awards program and how each of the kids were selected. One by one, as each recipient was announced, they received cheers of support from their family members as well as members from the school board and staff, including Peter Kudlak, the VBPS Superintendent and BHS Principal Stacey Buhro. This evening's keynote speaker was Judge Brian Oakley, who talked to the students about the importance of being an honest, kind and trustworthy adult in today's society and continuing to give back to the community in which you serve. We would like to thank the Cozadd Foundation for their generous support of our Scholarship funding and for making this very important program possible. -Supporting our Belleville Club for its annual Italian Dinner! We are so very proud of these kids and the great work they are doing within our community! 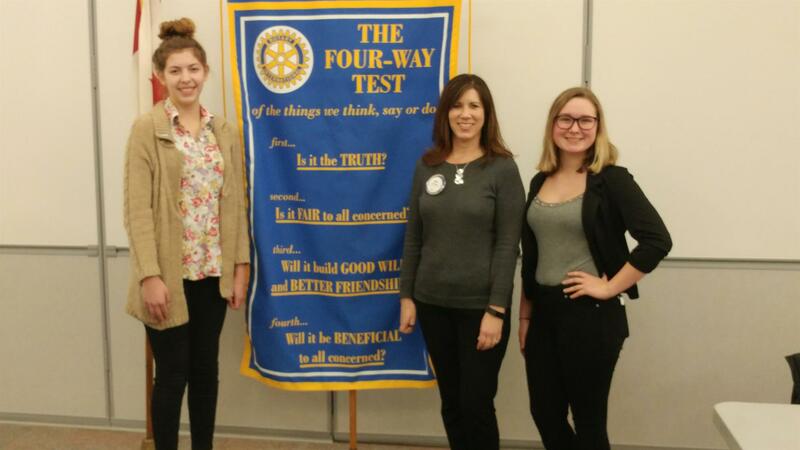 If you are a current Belleville High School student who might be interested in learning more about the Interact Club, please contact Mrs. Kidder or see Nina Hardy! It's that time of year again! Bring the family out for our annual Italian Dinner fundraiser! 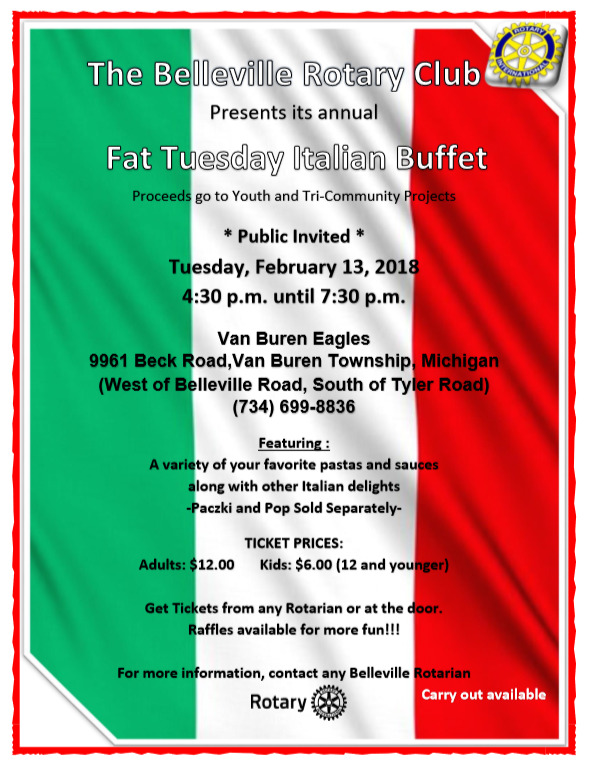 Join us on Tuesday, February 13th, from 4:30pm-7:30pm at the Fraternal Order of Eagles Van Buren #3996 for a night of great food and family fun! We'll have raffles, prizes and lots of delicious Italian favorites and a cash bar! The best part? You'll be supporting our BHS scholarship fund! Tickets are available from any Rotarian or buy them at the door! Plus, there will be Paczki!! The Rotary Club of Belleville holiday fundraiser has begun. 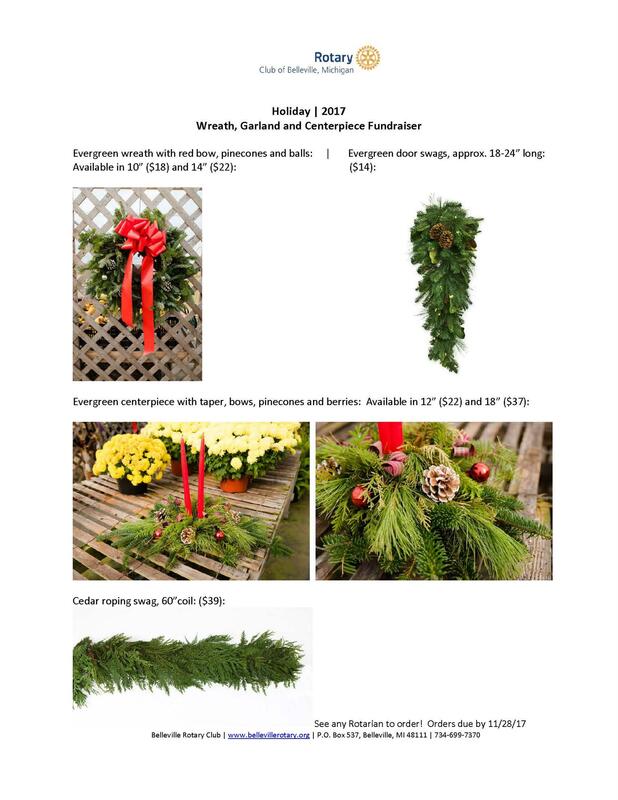 We have wreaths, door swags, ceder roping, and centerpieces to complete your holiday decor. 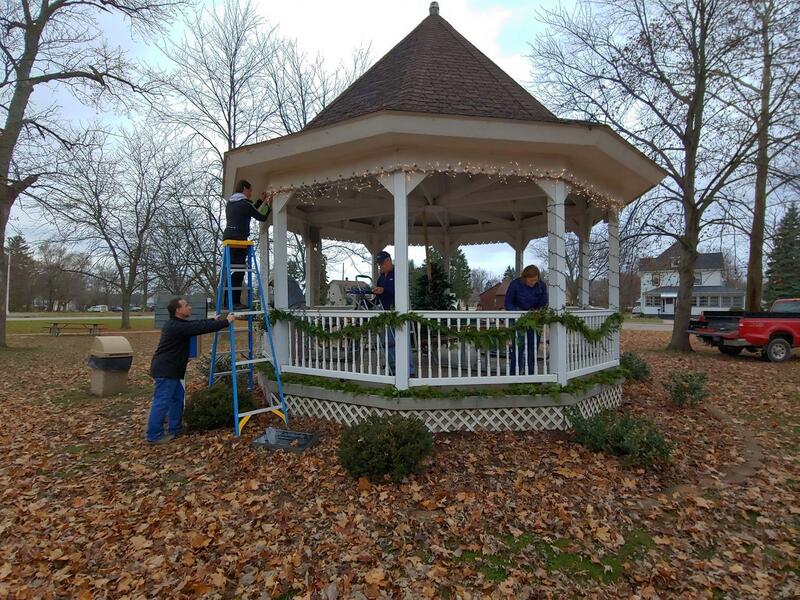 Proceeds from the fundraiser go back into the community through scholarships, literacy efforts, necessity assistance and good deed projects within our Sumpter/Belleville/Van Buren area. Please see the product brochure below and sales form for ordering. If you are interested you can send a completed sales form to jerrygrichardson@gmail.com. Orders need to be in by November 28th for delivery on December 5th. (Click here for sales/order form). 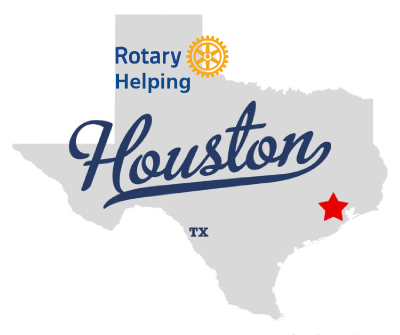 Rotary District 6400 will now be collecting donations to be sent to Rotary District 5890 (Houston Area Rotary Clubs) to help them provide aid to those in desperate need. Here's how you can help. In either case, please put “Hurricane Harvey” and your Club name (or city name) in the memo line. 1. For every club that donates, as an entity or through its members, at least $100, D6400 will donate USD $100. With 50 clubs, this is a maximum match of USD $5,000. 2. An anonymous, and very generous, Canadian Rotarian will match all individual contributions from Canadian Rotarians to a maximum of CDN $10,000. 3525 Preston Ave., Pasadena, TX 77505.